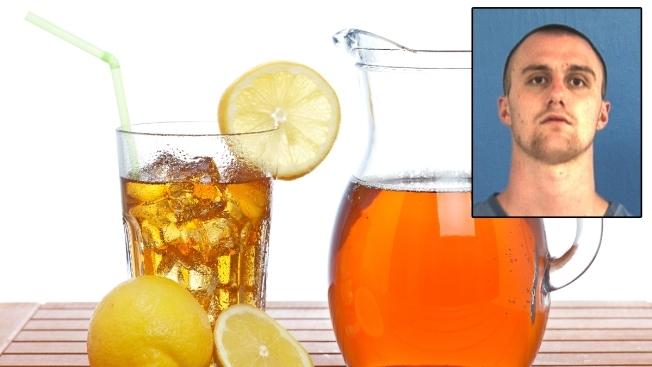 Florida prison inmate Taylor Fender allegedly walked away from a work crew before being apprehended while trying to drink a sweet tea at a nearby restaurant on Monday, Sept. 24, 2018. For a Florida prison inmate, the taste of freedom was short-lived but included sweet tea. The Putnam County Sheriff's Office says 23-year-old Taylor Fender walked away from a work crew Monday. The inmate purchased clothes at a store where a customer thought Fender looked suspicious and called 911. Fender headed into a restaurant just as a deputy was pulling into a parking spot. Authorities say a bulletin was issued with Fender's description. The deputy arrested Fender in the restaurant but not before the inmate ordered and paid for sweet tea. Fender was returned to prison where he is serving a five-year term for grand theft of a motor vehicle. The sweet tea was left unfinished. The sheriff's office tweeted, "For some Southerners, that could be considered the bigger crime."